With so much good out there, the time is now to take off those henchmen training wheels and become a full-fledged supervillain! 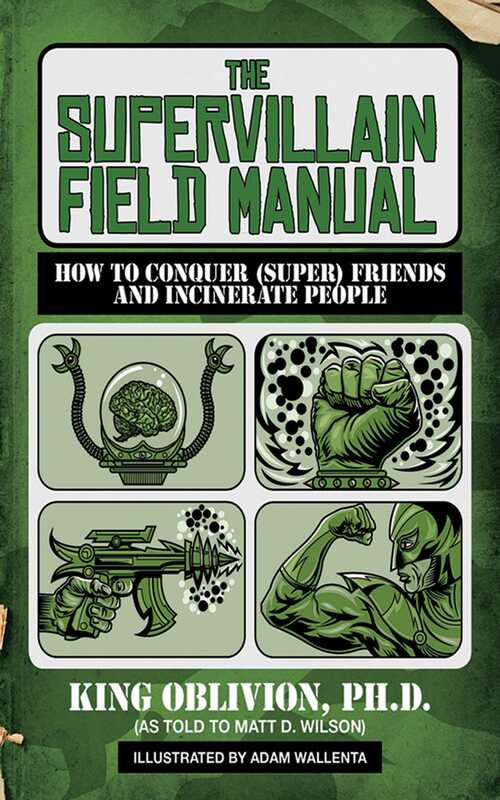 With lessons from the founder and overlord of the International Society of Supervillains (ISS), King Oblivion, Ph.D. will craft you step-by-step into a fine-tuned anti-hero. It’s time to emerge from your clandestine lair with bad intentions and start exacting the kind of vengeance that only an all-universe supervillain like yourself can handle. So keep honing your rage, fine-tuning your lasers, and remember . . . keep your enemies close, and your Super Friends closer.